It still sounds a bit strange to say out loud, but LeBron James is now with the Los Angeles Lakers. While his departure from the Cleveland Cavaliers has sent shock waves across the NBA (and affected the balance of power in conferences), it will also have a big gambling impact, both in the futures market and when they start playing games in October. The Westgate Las Vegas SuperBook opened the Lakers at 20-1 to win the 2018-19 NBA title based on the possibility of signing James, and currently lists them at 5-1 (third-best odds). It has received more bets on the Lakers than on any other team. In the East Coast market, William Hill books in New Jersey have received more bets on the Boston Celtics, but the Lakers are still second. But those odds are reflective of the liability the SuperBook has on the Lakers, more than Los Angeles' actual odds of winning a title. "True odds for Lakers winning with this team are probably 15-1," head Westgate oddsmaker Ed Salmons told ESPN in a text message. While sportsbooks will enjoy taking those wagers on a Lakers team that will need to get by the Houston Rockets and Golden State Warriors (among others) in the Western Conference, LeBron's impact will be seen more directly on a game-to-game basis during the regular season -- in the form of inflated point spreads. Oddsmakers know they can tweak the line and still not deter a majority of bettors from backing James with the Lakers. "The lines are definitely going to be jacked up," William Hill director of trading Nick Bogdanovich told ESPN. This tax could be as high as three points in some cases, according to oddsmakers. Newfound excitement and perceived dominance can create misguided emotional wagering, as we saw last season when the public kept backing a James-led Cavaliers team that posted a .367 cover percentage, which ranks fourth worst of any NBA team over the past 20 years. 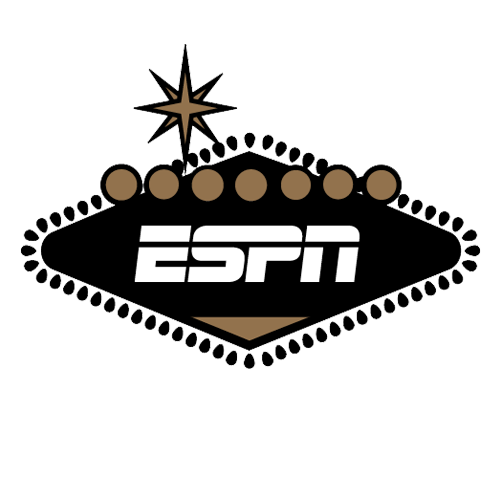 "What we do as bookmakers is we put up a number that the public will most likely lay at times," Wynn Las Vegas race and sportsbook executive director Johnny Avello told ESPN in January. "If that is not working for us, then we'll make an adjustment. But that's not happening right now." Regardless of the talent level of the team, the Lakers have always gotten extra love in Las Vegas, in part due to the proximity -- Los Angeles is just a four hour drive from Sin City. Big-name players and one of the more recognizable brands in sports have also helped pad the Lakers' handle. Entering the 2017-18 season, the Westgate posted a prop bet on whether the Lakers would reach the playoffs. It booked more than 100 bets on the long shot payout that they would qualify, compared to only one single bet on the favored outcome of missing the postseason. Ultimately, Los Angeles finished 12 games behind the No. 8 seed Minnesota Timberwolves, back in 11th in the West. "[LeBron] means about 25 percent more handle," South Point oddsmaker Jimmy Vaccaro told ESPN. "The excitement will be back but you're going to be paying a pretty price." "Vegas is definitely a big Lakers town," Bogdanovich noted. "They haven't been relevant in a while, and now they have the biggest piece. They'll definitely be the biggest-bet team, even more than Golden State. I would imagine we will [be rooting] against them in about 70 of the 82 games, and I'm expecting a three-to-one ticket count in favor of the Lakers -- and it could be more." With that soaring interest in Lakers games, oddsmakers are brainstorming additional ways to increase betting handle and maximize profits. That will likely mean season-long and nightly proposition bets. For the first time ever, Vegas sportsbooks might post a proposition bet for a scoring average, "just because there's such a demand," Bogdanovich said. "Obviously we have some time to think about it all but it opens the door for more people to bet," Vaccaro said. "I believe there will be some artistic things done with us knuckleheads behind the counter."